I have been fascinated by gothic tales of romance and danger since I read my first Dorothy Daniels book in junior high. It had a predictably historical setting, with a dash of the paranormal, and a hint of romance. For a long time, I only connected gothics with a historical setting, and never imagined that there were such things as contemporary gothics. I recently discovered Jennifer L. Armentrout’s spectacular “de Vincent” series and was immediately sucked into her world of danger, mystery, and eroticism with a decidedly gothic edge. All of the authors discussed in this article utilize a few classic elements of a gothic novel but throw them in a story with a contemporary setting. She felt…God, this sounded insane, she felt watched. Location is everything. Authors who write gothic novels – even contemporary ones – all know the importance of having a strong sense of place in their stories. In the “de Vincent” series by Jennifer L. Armentrout, the de Vincent family compound in Louisiana is full of history and haunted by tragedy and evil. In the “Alcott Manor” series by Alyssa Richards, Alcott Manor takes on a life of its own and reacts to, and terrorizes, the various people who walk through the doors. In THE TAKING by Erin McCarthy, Regan Henry purchases a beautiful historic home as an act of newly achieved independence but she and the building are haunted by her past, and the past attached to the house itself. It’s not surprising that so many stories are set in New Orleans. Each story is unique with the stamp of each author, but they all tantalize and terrify. 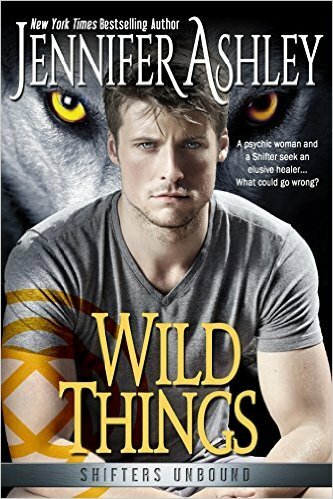 In WILD THINGS by Jennifer Ashley, a house is introduced into the series that is sentient and a force for good just as the Overlook Hotel in THE SHINING by Stephen King was an instrument of evil. These places are just as important to the story as the people. Another thing I love about gothics is the way the author keeps the reader and the main characters off-balance. You never know what to expect or who to trust. 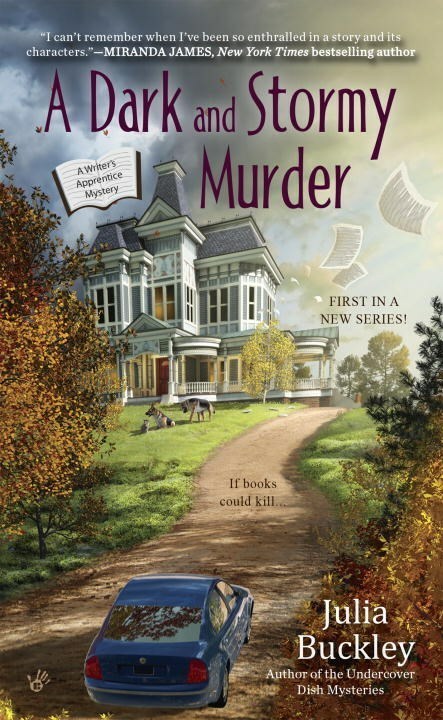 In A DARK AND STORMY MURDER by Julia Buckley, aspiring novelist Lena London uproots her life in order to work with a prolific and beloved author. Julia Buckley includes a lot of fun and cozy elements in this story, but when suspicious death makes an appearance about the same time Lena meets a potential love interest, it’s difficult to tell who can be trusted and where is safe. There are wonderful elements in A DARK AND STORMY MURDER that are evocative of Alfred Hitchcock’s classic film SUSPICION. Likewise, in MOONLIGHT SINS by Jennifer L. Armentrout, Julia Hughes travels a great distance, makes a huge change in her life, and finds herself drawn to a charming man whose veracity is in serious doubt. Thankfully for readers, Jennifer L. Armentrout provides Lucian de Vincent’s perspective which lets them know his intentions are good. Julia, without having that insight into the inner workings of Lucian’s mind, is often on edge wondering what path she should take and whether she can trust Lucian. In FALLEN by Erin McCarthy, Sara Michaels is a woman of science but when she meets the devilishly handsome Gabriel, he asks her to take his unbelievable story on faith. The pair work together as the past and present mix as they hunt down a villain. No one was in the hall. But the door leading out to the porch was open, the gauzy curtains billowing as the breeze caught them. Whether it’s ghosts, demons, magic, or something else, a bit of the supernatural provides an added dose of excitement in any gothic tale. I had only known Erin McCarthy’s contemporary romances when I picked up MY IMMORTAL – the first book in her “Deadly Sins” series. Although the introduction was unusual, it started to pick up like any other contemporary romance…..until things took a turn. 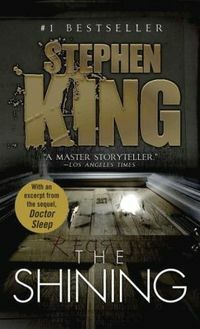 As I stayed up until the early morning reading about love, betrayal, bitterness, and deals with the devil, the story took on a “Twilight Zone” quality and scared the daylights out of me. In MOONLIGHT SCANDALS, the heroine is a medium. Although there are ghosts in MOONLIGHT SCANDALS, Jennifer L. Armentrout expertly shows how people become haunted, rather than hauntings by ghostly apparitions. In the Alcott Manor series by Alyssa Richards, each of the three books in the series take on a slightly different tone, but the second installment is super scary with a Freddy Krueger-like otherworldly villain. The heroine and her new love battle the ghostly baddie in various dimensions and the stakes are high. The first and third books in the series focus more on traditionally haunted house goodness and lost loves. For me, Cynthia Eden is a master of suspense and sets many of her stories in New Orleans with classic gothic themes. One of my favorite series by Eden is Blood and Moonlight, set in New Orleans and featuring a tough cop and the werewolf who falls for her. This series has it all – suspense, magic, multiple evil machinations, and a love that grows stronger as the hero and heroine are forced to trust each other or die. Cynthia Eden paints a picture of hot nights, eerie isolated locales, and scenarios to keep your pulse pounding. A psychological stunner and decadent gothic romance! Heiress Regan Henry knows that passion can be an illusion, and she keeps her emotions in check-until she falls under the spell of the beguiling Felix LeBlanc. He knows that the rumors that her mansion is haunted are true, and that he’s the only one who can save her from the spirits residing there. But the only way he can do it is to sacrifice his last chance at redemption…or risk a love that could consign them both to an eternity of evil. An immortal voodoo priest and a courageous heiress come together to find everlasting love. Wolf Shifter Mason McNaughton is tired of the crazy feral living in his house, endangering him, his brothers, and his sweet auntie Cora. Ferals are Shifters who’ve reverted to the wild stage, forgetting all about the joys of pizza and satellite TV. Not to mention, Mason is sick of waking up to the feral’s rampages in the bedroom next to his. The feral has been given sanctuary, so Mason can’t throw him out—the only thing to do is to find a way to cure him. The problem is, Shifter healers—elusive, Goddess-touched Shifters who have the healing gift—are few and far between. Mason volunteers to go in search of one, and is sent to a psychic in New Orleans who might have an idea of where to start looking. Mason doesn’t believe in psychics, but Jasmine, the psychic in question, seems to at least put on a good show. Jasmine believes in Shifters all right, but she vowed after her Shifter boyfriend dumped her to never have anything to do with them again. The easiest way to get rid of the growly Lupine, Mason, is to help him, but Jasmine never dreams what that help will drag her into. A short novel of the Shifters Unbound series. An out-of-this-world mix of passion and the supernatural! Camilla Graham’s bestselling suspense novels inspired Lena London to become a writer, so when she lands a job as Camilla’s new assistant, she can’t believe her luck. Not only will she help her idol craft an enchanting new mystery, she’ll get to live rent-free in Camilla’s gorgeous Victorian home in the quaint town of Blue Lake, Indiana. But Lena’s fortune soon changes for the worse. First, she lands in the center of small town gossip for befriending the local recluse. Then, she stumbles across one thing that a Camilla Graham novel is never without—a dead body, found on her new boss’s lakefront property. A riveting mystery that will appeal to both cozy and suspense fans! Gothic suspense at its finest! A new series that will end with you wanting more!